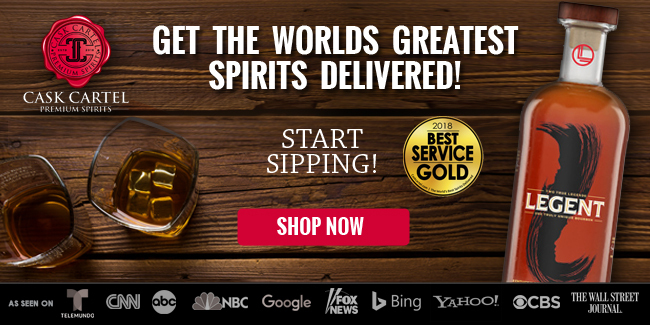 Woodford Reserve Double Double Oaked is a limited edition release by Brown-Forman. 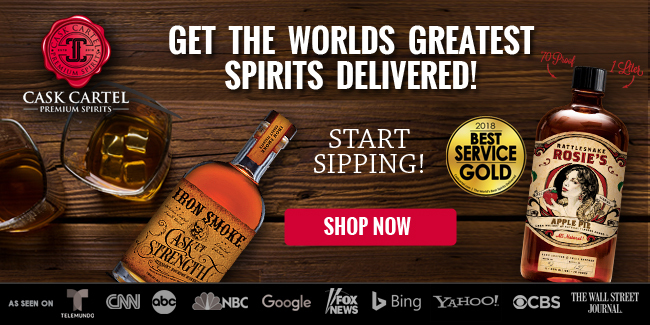 Falling under the company’s Distillery Series, this bourbon is released in limited batches. 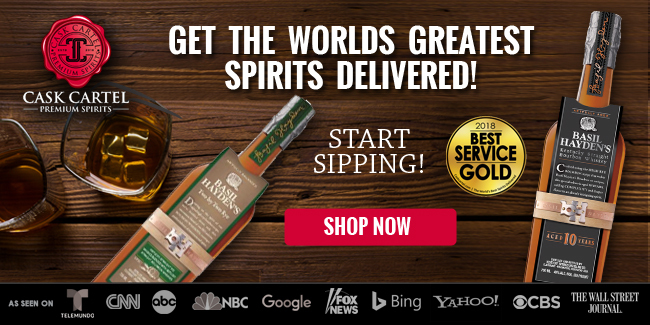 The Woodford Distillery Series is released s in 375ml bottles, and can only be bought at the distillery’s gift shop. 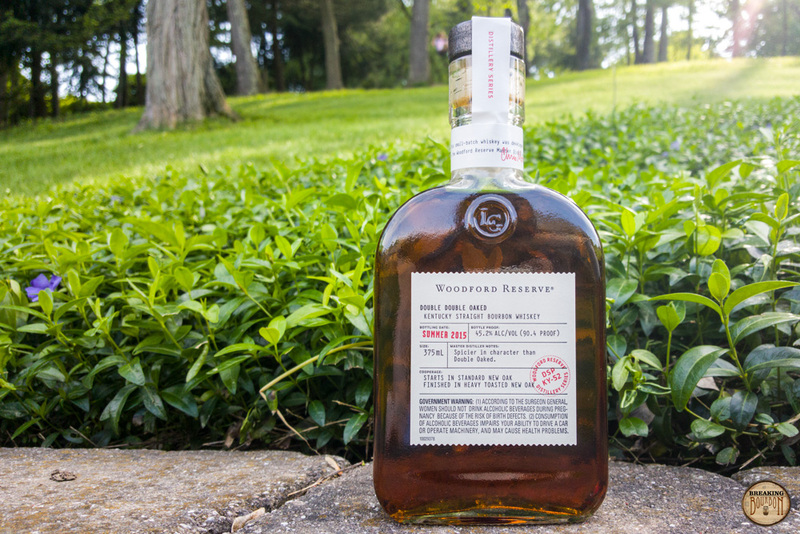 Woodford Double Oaked is produced by re-barreling Woodford Reserve Distiller’s Select in a second virgin charred oak barrel for a little under a year. The second barrel used is deeply toasted before being lightly charred. 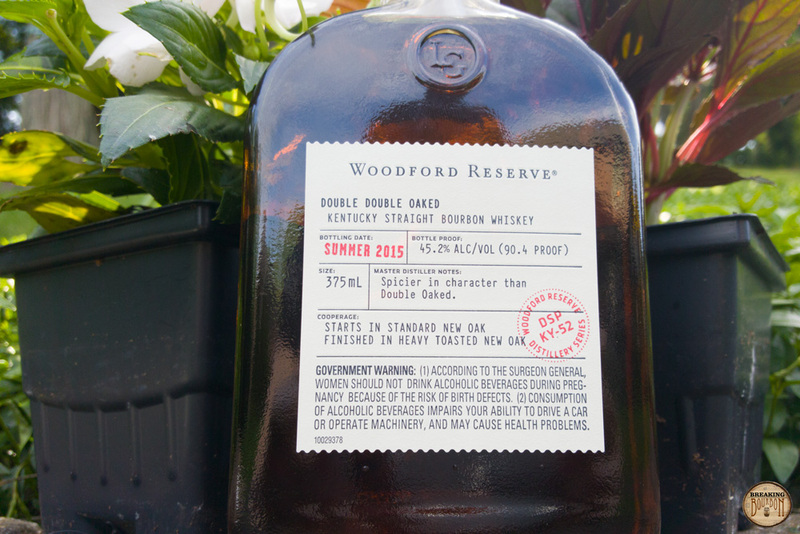 Double Double Oaked is produced by finishing Woodford Reserve Double Oaked for an additional year. 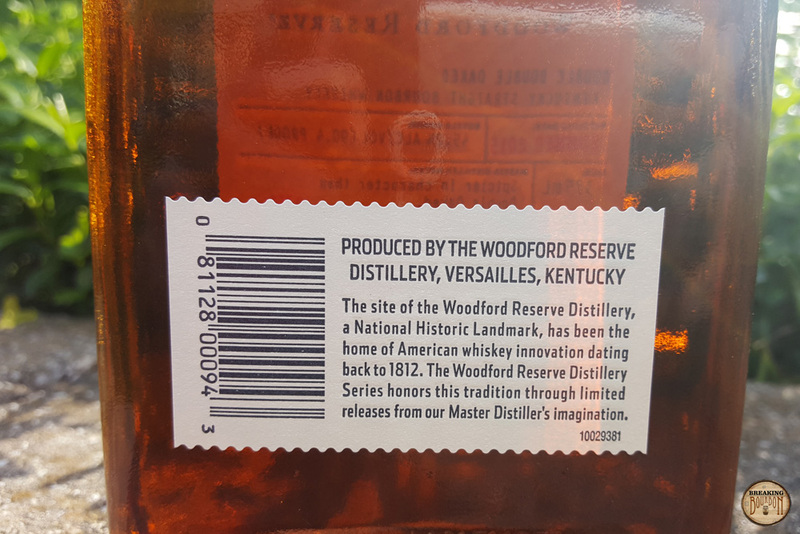 The bottle being reviewed is from the Fall 2016 release, which at the time of this review is still being sold in the gift shop. 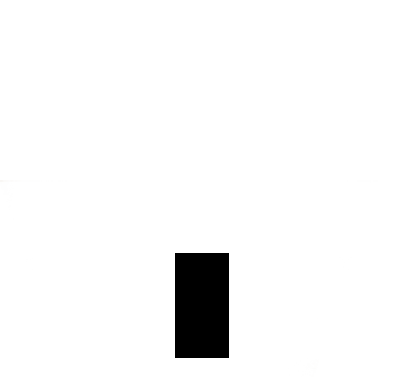 Photos are taken from a prior release. The additional time in a second barrel is quite noticeable. The heavy oak notes makes the nose comes across slightly stronger than its 90.4 proof. 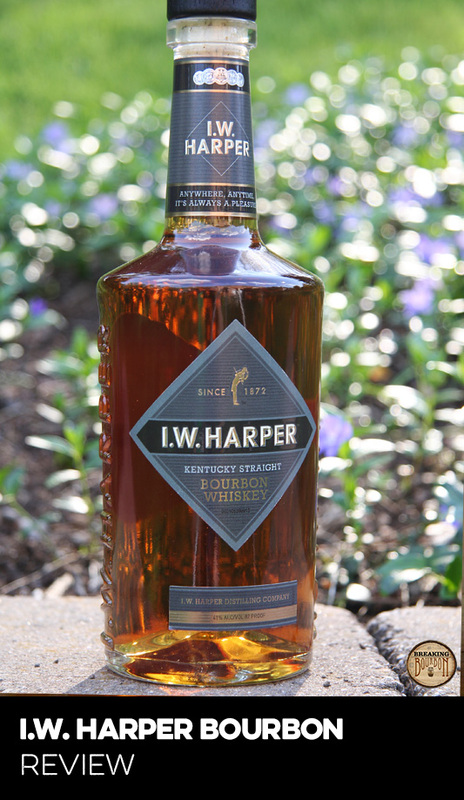 Hiding behind the oak are wafts of sweeter caramel, brown sugar, rye spice, and a dollop of syrup. The scents mingle nicely together and provide an enjoyable aroma. Upon taking a sip, my mouth is coated as if I just took a shot of some sort of cooking oil. Its mouthfeel is viscous but oddly in a weird one-dimensional way. The dominant flavor is rich charred oak with the ever so slightest dab of vanilla, and without much support besides these two flavors. In fact I’d be exaggerating if I said I was able to pull out any other noticeable flavors besides the oak. While it’s thankfully a nicely balanced oak flavor, the one-dimensionality of this palate is really a shame. The extra year in the wood seems to have muted all the best parts of the standard Double Oaked leaving only the oak behind. The oak carries through to the finish and is joined with leather, caramel, brown sugar, and dried raisins up front. Eventually all the flavors drop off except for heavy dry charred oak and light brown sugar which lingers for a surprisingly long time. In the end the dry oaky taste overstays it’s welcome and reinforces the fact that this has spent a longer time in the barrel than need be. 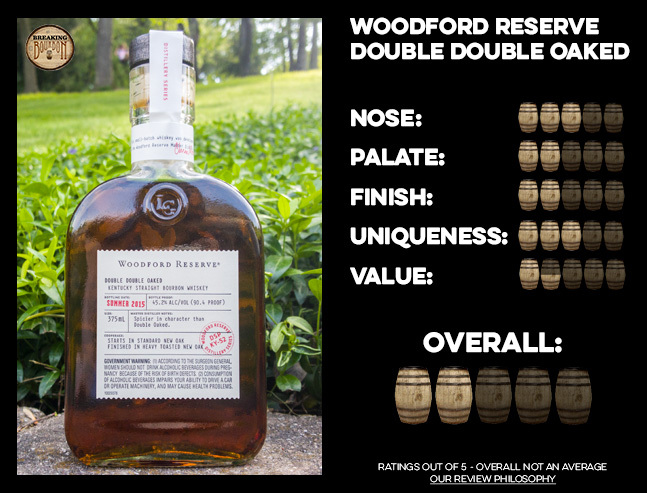 Woodford Double Double Oaked is certainly unique, but not in a non-typical way. It’s oaky flavor profile, while not defying any new boundaries, helps show the limitations of barrel finishing in a second new charred oak barrel. Where Double Oaked seems to be aged just the right amount of time, Double Double Oaked comes across as taking it too far. 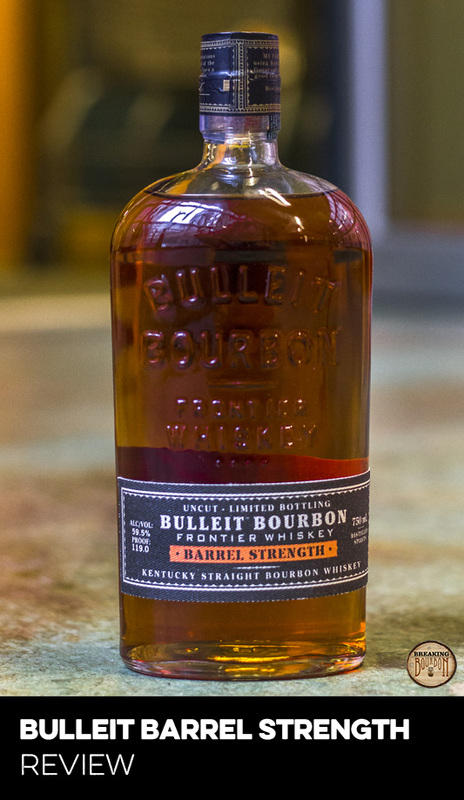 Its narrow flavor profile is a clear result of spending too much time in the second barrel. However without this extra year of aging, we wouldn’t have had the chance to know what the limitations actually are of double oaked bourbons. Priced at $5 more than Double Oaked, this would seem like a fair value. That is until you realize you’re getting half the product compared to Double Oaked, due to the fact that Double Double Oaked is only sold in 375ml bottles. 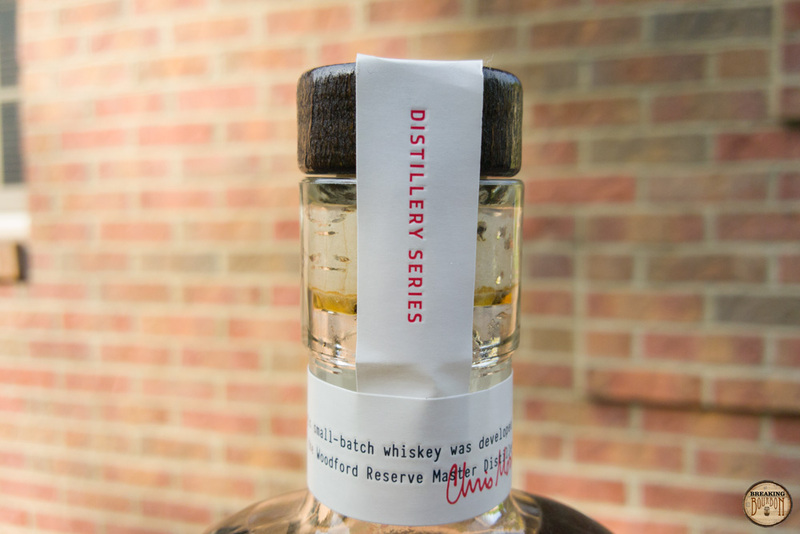 This puts its 750ml equivalent pricing in line with Woodford’s Master’s Collection and over twice the cost of a standard bottle of Double Oaked. 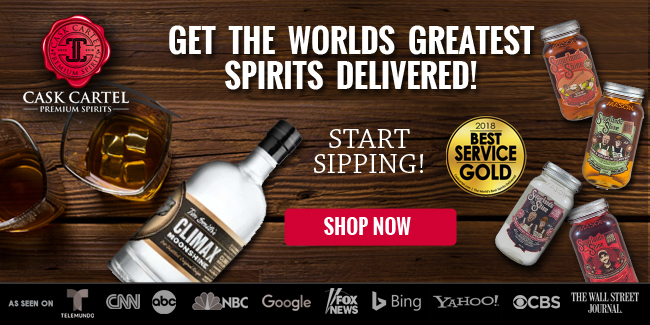 It certainly presents a unique experience, but the flavor profile does not elevate this bourbon anywhere near its asking price. Double Double Oaked shows that doubling the time and doubling the oak is one equation that doesn’t add up. Double Double Oaked seemed like it should be the next natural progression in the Woodford family lineup. Where Distiller’s Select lays an average base, and Double Oaked morphs it into a lovely above average bourbon, Double Double Oaked seems like it should have lifted the whole family up to the next level. Sadly, this isn’t the case at all. 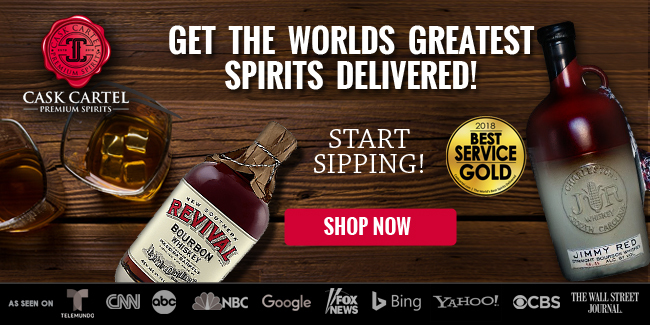 The extra time in the barrel leaves the bourbon over-oaked and one-dimensional. 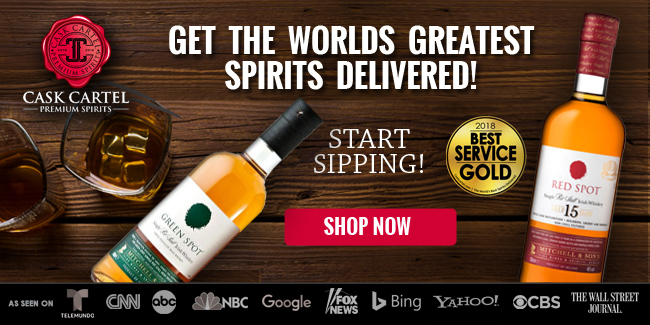 Add in the fact that it’s priced slightly higher than Double Oaked but in half-sized bottles, and this is one tough sell. 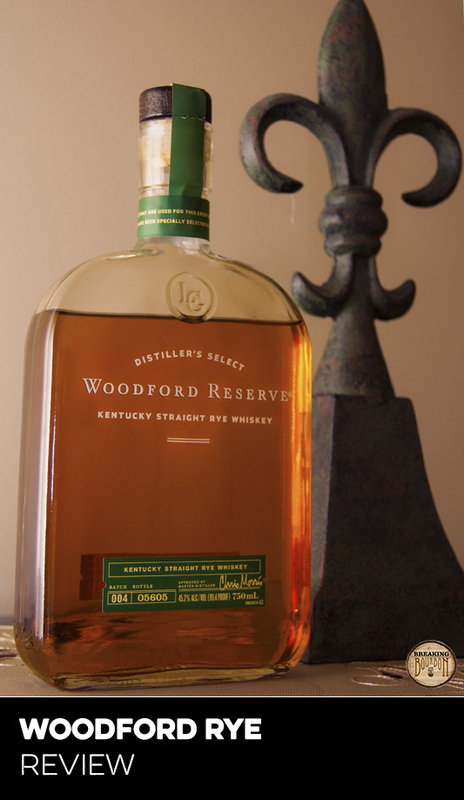 The sample used for this review was provided at no cost courtesy of Woodford Reserve. We thank them for allowing us to review it with no strings attached.